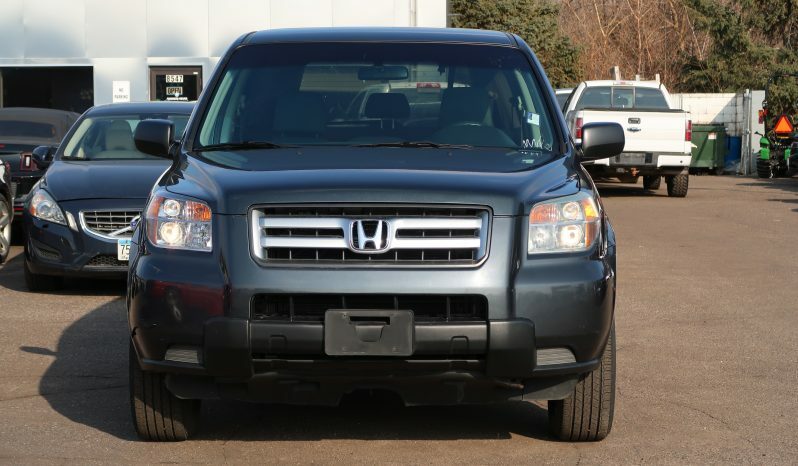 Changes to the 2006 Honda Pilot SUV include standard side curtain airbags for all three rows and freshened headlight, taillight and wheel designs. A maintenance minder system has also been added to all Pilots. 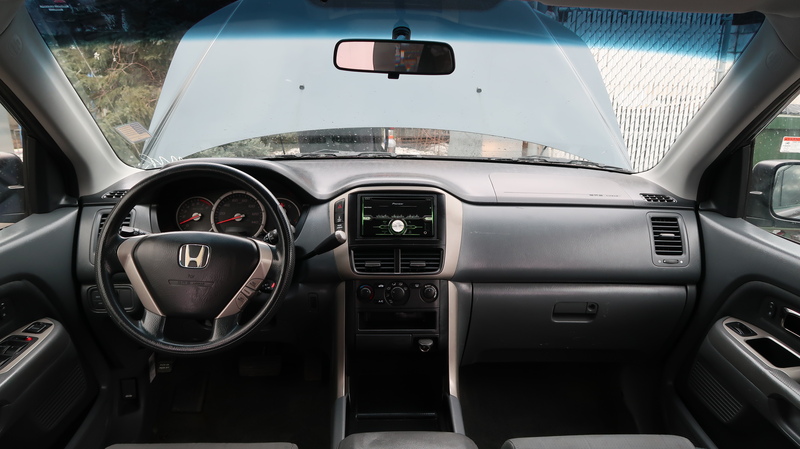 The optional navigation system now has a 7-inch screen and a reverse-parking assist camera. The EX trim level now has standard foglights this year, and EXs with leather seating get standard XM Satellite Radio. Also new this year is a front-wheel-drive Pilot with Honda’s fuel-saving Variable Cylinder Management (VCM) feature for its V6 engine. 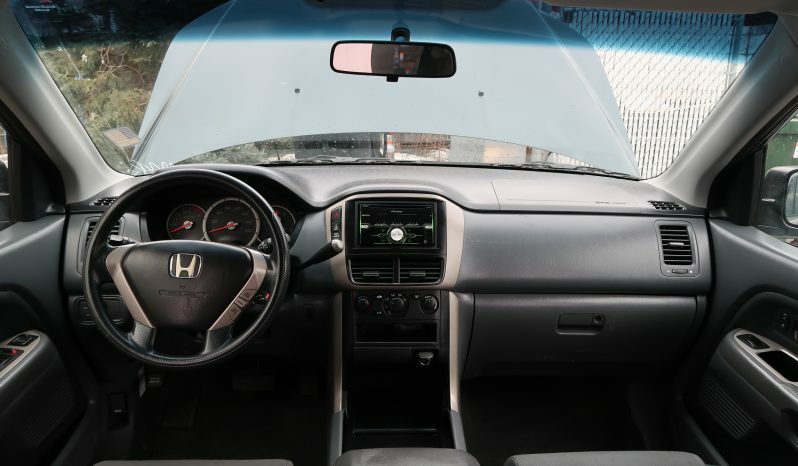 Finally, stated power output for the Pilot’s V6 engine has dropped slightly due to Honda’s adoption of a new SAE horsepower-rating procedure. 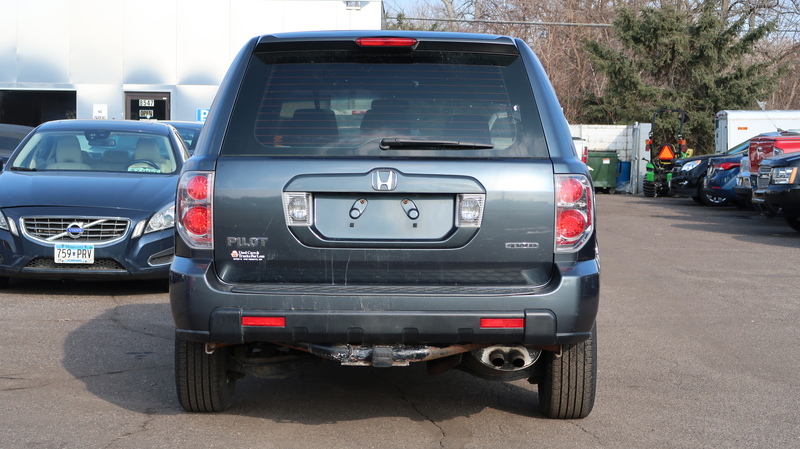 The Pilot is Honda’s long-awaited reply to America’s massive appetite for midsize SUVs. In creating the Pilot, Honda’s goal was to build the ultimate American family adventure vehicle. 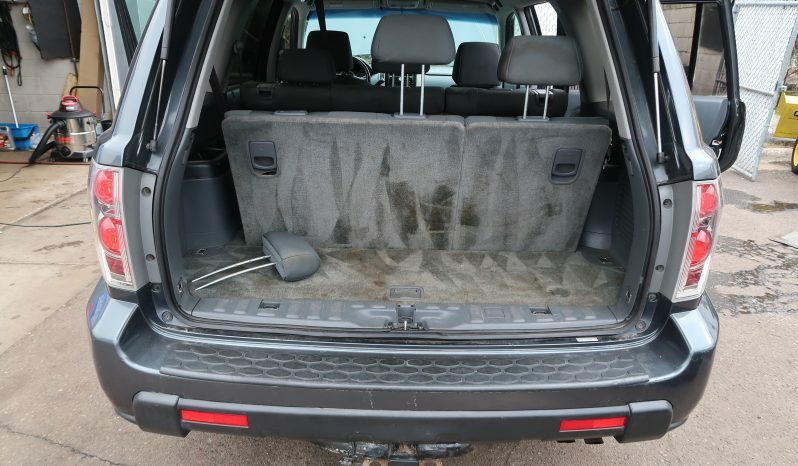 To meet the challenge, the Pilot SUV is equipped with seating for eight, a powerful V6 engine, a versatile interior, capable road handling and a reasonable level of off-road ability. 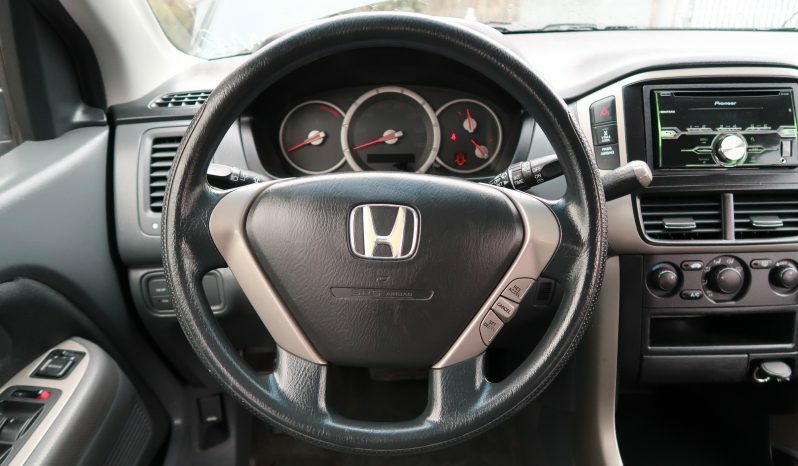 It’s also tempered with Honda’s traditional strengths in dependability, quality and safety. Third-row seating is all the rage with midsize crossovers and SUVs, and the Pilot isn’t one to shirk from peer pressure. 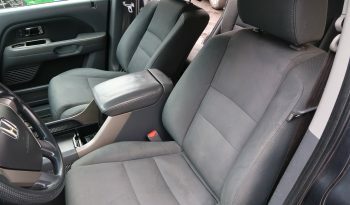 The third row is virtually the same size as the MDX’s, but in this case it has three sets of adjustable headrests and three-point seatbelts. Legroom is tight at 30.2 inches, so it’s best to limit the third row to children. 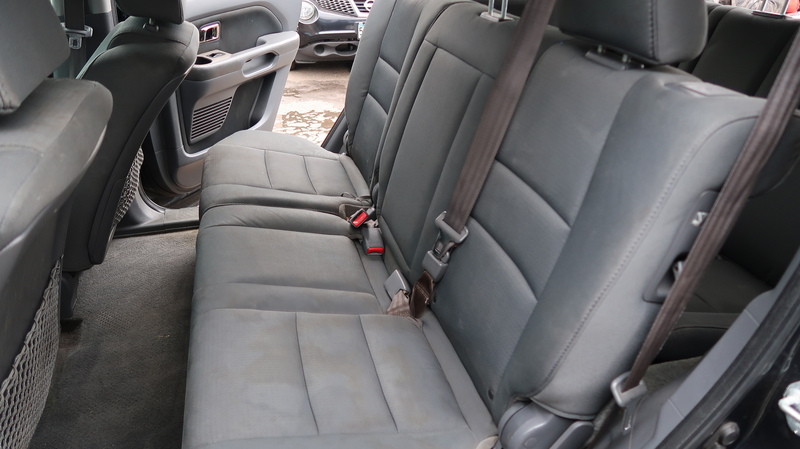 Lowering the second- and third-row seats reveals an impressively large 90.3-cubic-inch cargo hold. 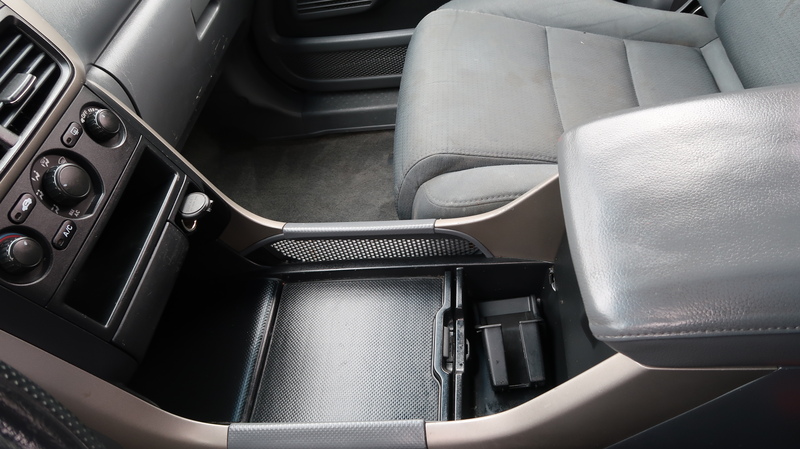 Because of the Pilot’s wide stance, there’s sufficient clearance between the wheel wells to place wide items flat on the floor. 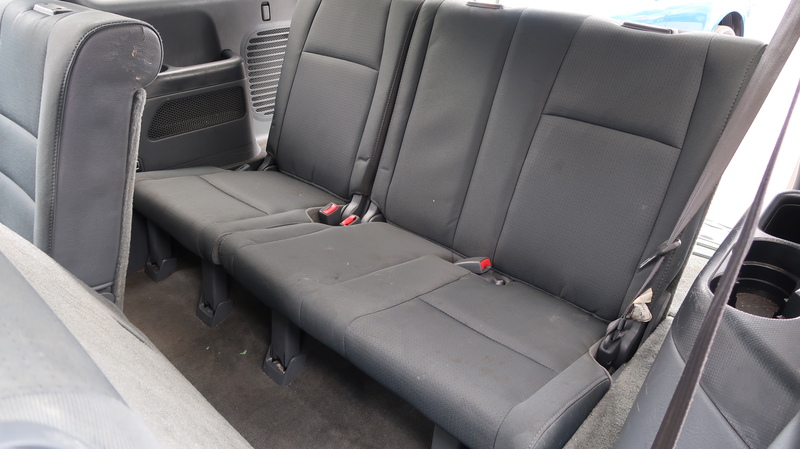 If the second-row seats are in use, cargo capacity is 48.7 cubic feet. With the third row up, there’s still enough room for grocery bags, baby paraphernalia or a set of golf clubs. At more than 4,400 pounds, the 2006 Honda Pilot isn’t a lightweight vehicle. And in terms of dimensions, it’s wider than, and just as long as, an Explorer. Acceleration is more than adequate, however, thanks to the 255-hp V6. 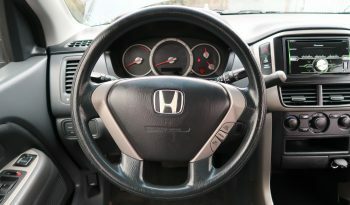 It’s equipped with Honda’s VTEC system, which gives the engine a wide power band and better-than-average fuel economy. 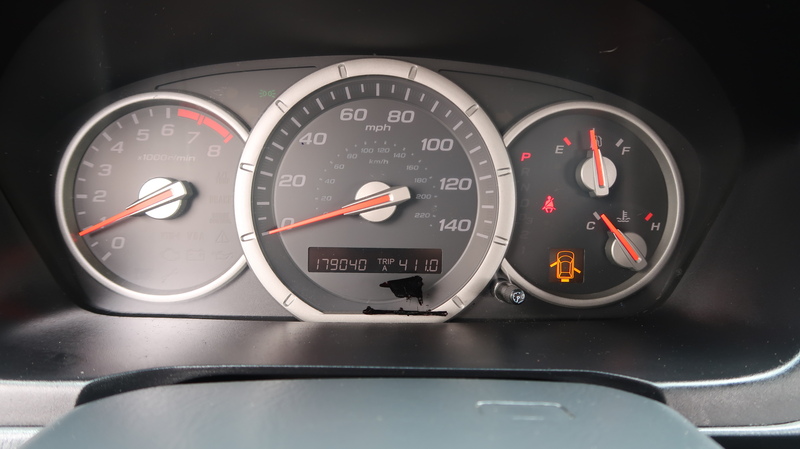 And starting this year, you can reap additional fuel savings by selecting a front-wheel-drive (2WD) Pilot with the Variable Cylinder Management (VCM) system. 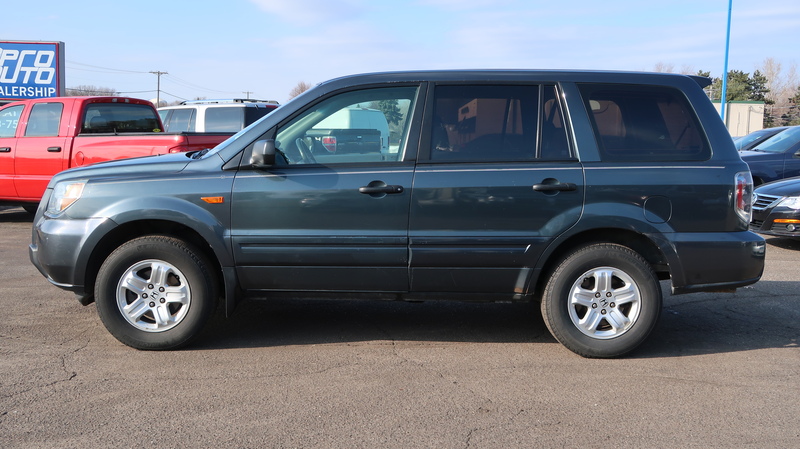 An electronically controlled four-wheel-drive system is available, and it turn this Honda SUV into an excellent snow vehicle. If you are shopping for a midsize SUV, this is one you won’t want to skip over. Besides offering solid engineering and construction inside and out, the Honda Pilot is more intelligently packaged than many of its competitors: One large, comfortable cabin with seating for eight and one long list of standard features with a minimum of confusing options. Just choose your trim level and you’re ready to go. 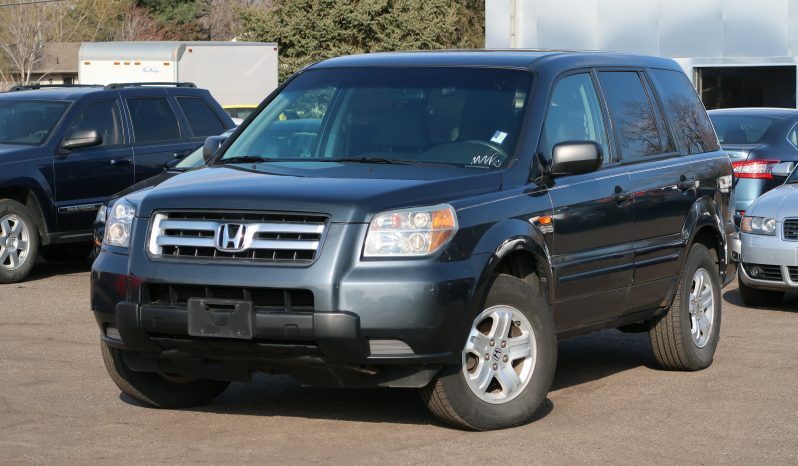 Although high demand early on made it difficult to find a Pilot and negotiate a reasonable price for one, an influx of new competitors should make it considerably easier to bring home a 2006 Honda Pilot. The four-door, eight-passenger 2006 Honda Pilot comes in two trim levels: LX and EX. 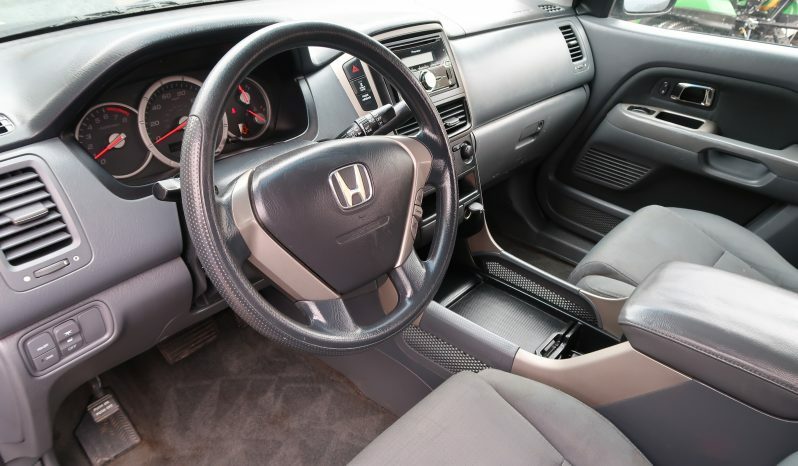 As is typical of Honda offerings, nearly everything comes standard. 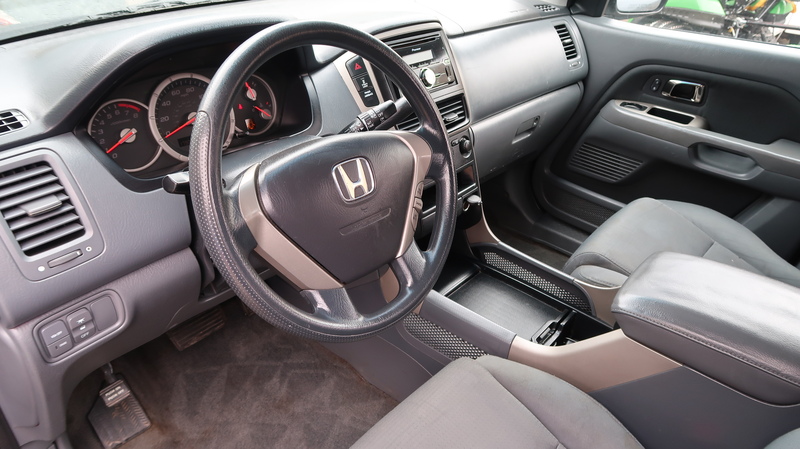 This includes air conditioning; cruise control; power windows, mirrors and locks; keyless entry; a rear window defroster; and a CD player. 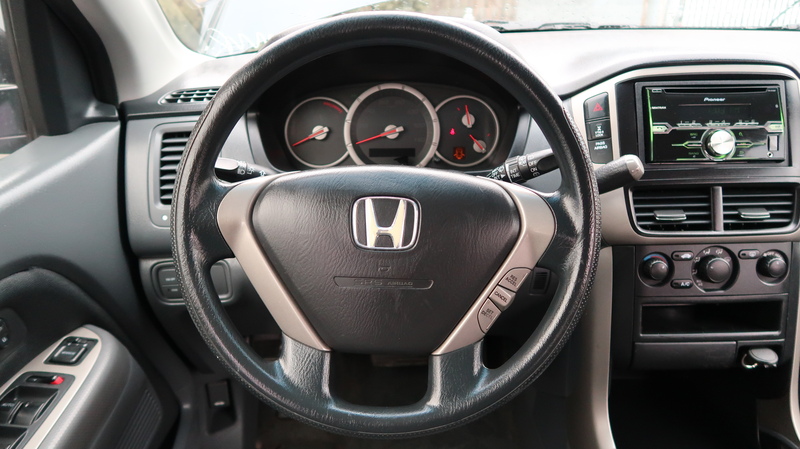 Going with the EX adds alloy wheels, auto-off headlamps, an eight-way power driver seat with lumbar, extra interior storage, automatic climate control, HomeLink and steering wheel-mounted audio controls. 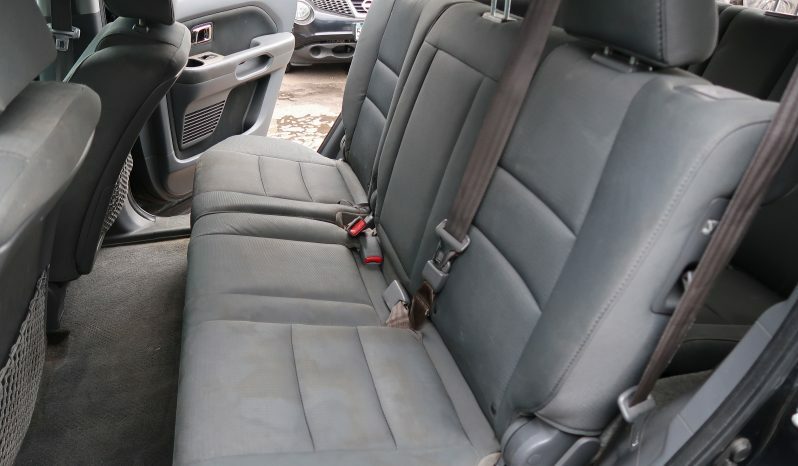 On EX models with leather (EX-L), a sunroof, XM Satellite Radio and heated seats come standard, with a DVD-based navigation system and a DVD entertainment system available as options. 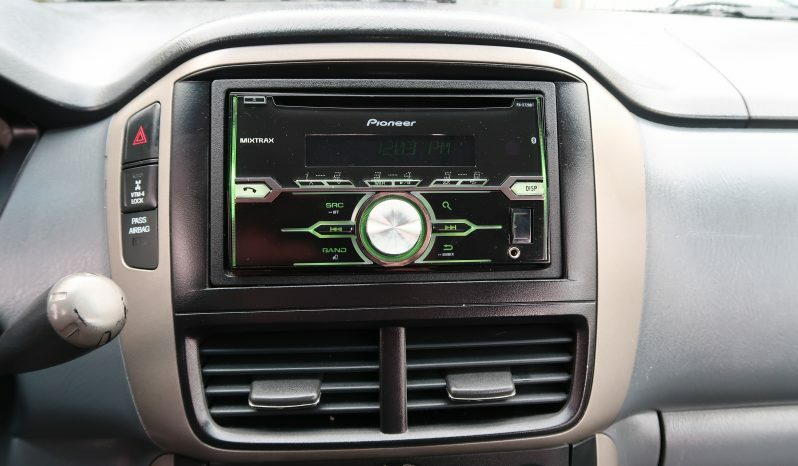 Unfortunately, buyers must choose between the nav and entertainment systems — you can’t get both. 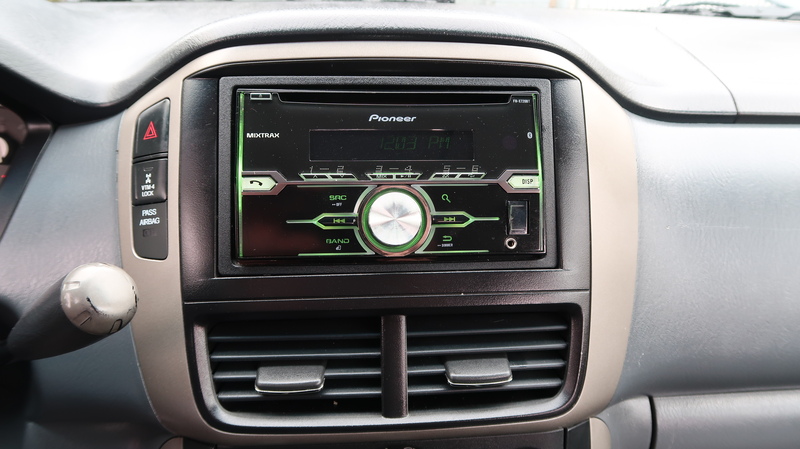 The entertainment system includes a 9-inch flip-down LCD screen. All-wheel-drive Pilots come equipped with a 3.5-liter V6 that makes 244 horsepower and 240 lb-ft of torque. Two-wheel-drive models use the same engine but are upgraded with Variable Cylinder Management (VCM), which increases fuel-efficiency by “shutting off” three of the engine’s six cylinders during cruising and deceleration. When more performance is needed, the engine switches back to using all six cylinders. 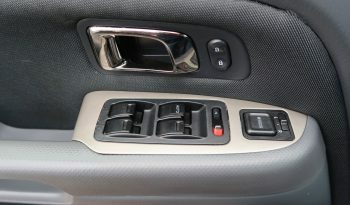 The engine’s power is routed through a five-speed automatic transmission. 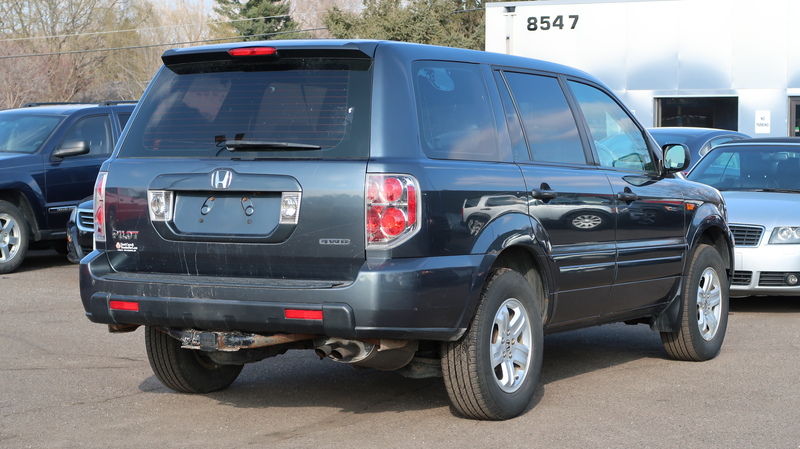 Tow ratings are modest (a max 4,400 pounds on AWD versions), but the Pilot’s fuel economy is better than that of many V8-powered SUVs. 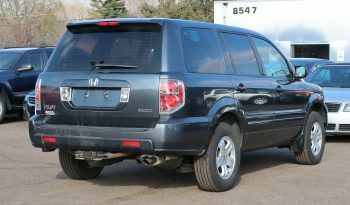 The Honda Pilot seats eight passengers. The second- and third-row seats are positioned theater-style, meaning that they are elevated to give occupants a better outside view. Legroom for second-row passengers is quite good, but the tight third row is best suited for children. 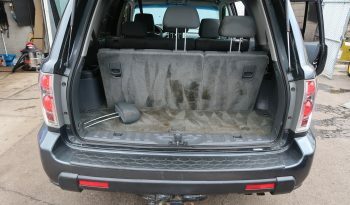 Both the second and third rows are split 60/40 and can be folded flat to expand the Pilot’s cargo capacity. 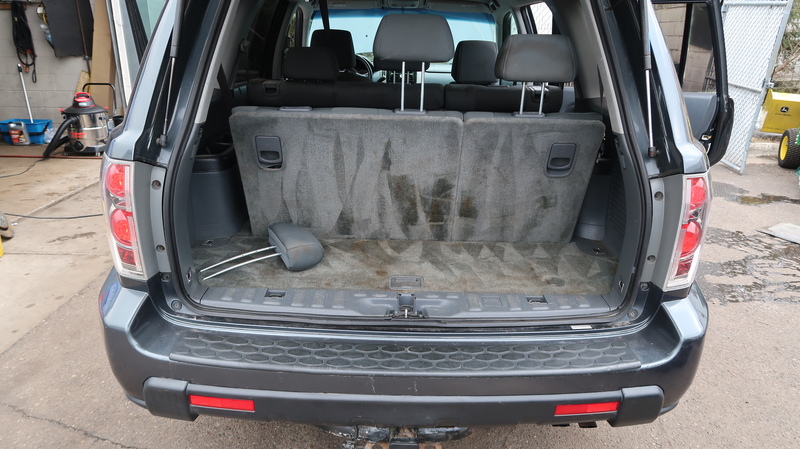 Maximum cargo capacity is 90 cubic feet. 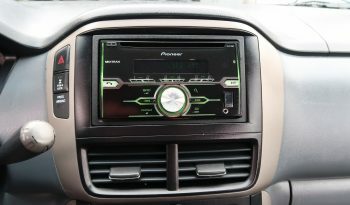 As the Pilot features a stiff unibody structure and a fully independent suspension, it is quite smooth and comfortable on normal roads. However, with a curb weight of more than 2 tons, there is no denying the Pilot’s bulk, and some drivers might find it a bit clumsy around corners. In terms of off-road ability, the 2006 Honda Pilot can take on common hazards such as boat ramps, washed-out gullies and rough roads, but not much more.